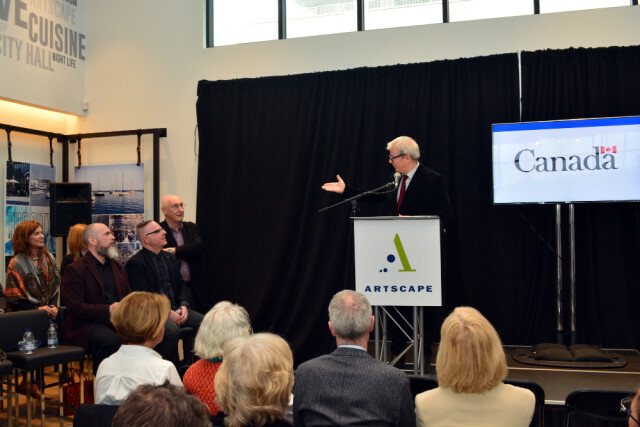 Artscape Daniels Launchpad receives $21.4 million in funding! 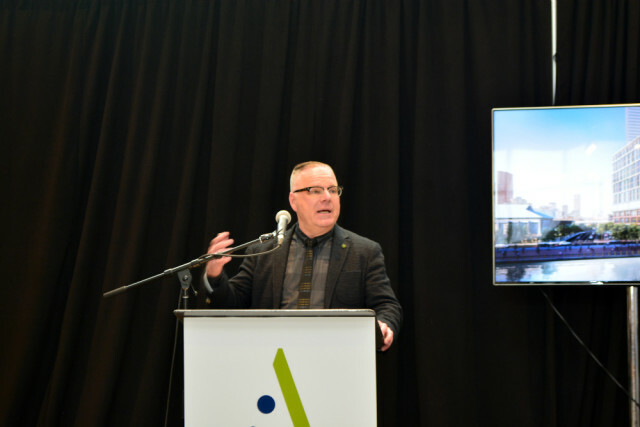 Last week, The Daniels Corporation, Artscape, and a number of artists, community members, and politicians gathered at the Daniels Waterfront - City of the Arts presentation centre to unveil Artscape Daniels Launchpad and announce reaching $21.4 million in funding! $14,050,000 was raised in capital funding; $4,450,000 in community bonds, and $2,993,000 in program and start-up funding. The funds were raised from donations from the private sector, philanthropists, and funding from all three levels of government. 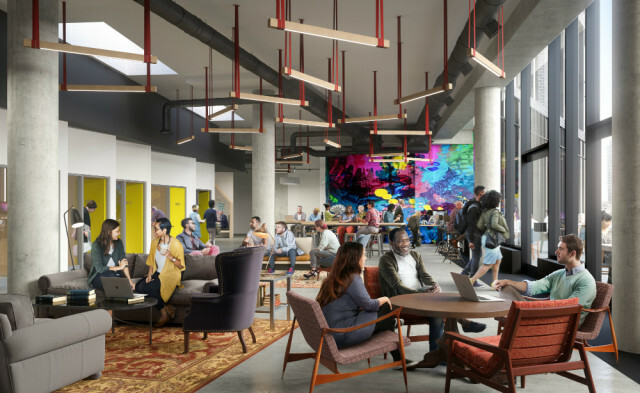 The leadership gift of $5.75 million was donated by Daniels and the John and Myrna Daniels Foundation, which also includes $625,000 from WJ Properties (City of the Arts development partner). 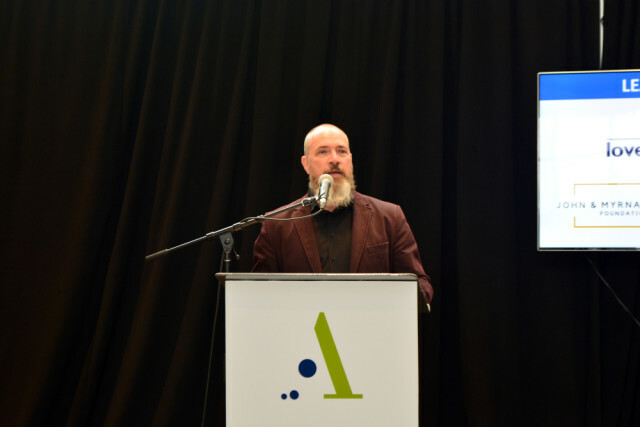 Artscape Daniels Launchpad features a wide variety of resources, tools, equipment, services, and facilities that support creative artists and entrepreneurs. The goal is to create and facilitate thriving careers and businesses. 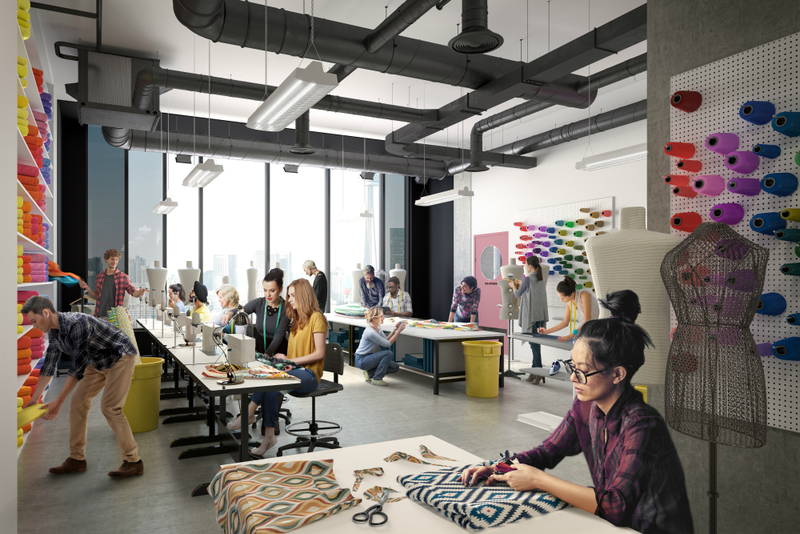 The 30,000 square foot space features production studios for digital design, audio-visual recording, textiles, prototyping, photography, jewellry workshops, electronics and woodworking. 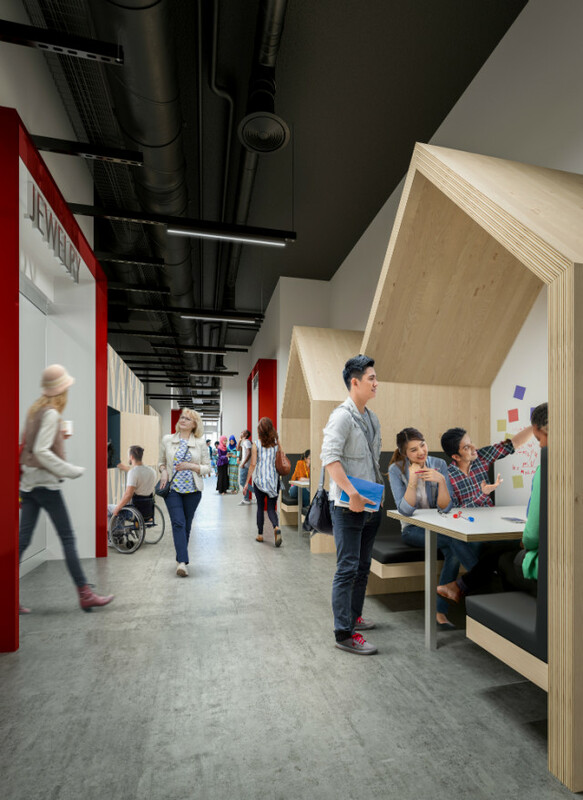 There are also meeting spaces, which promote socializing and collaboration. 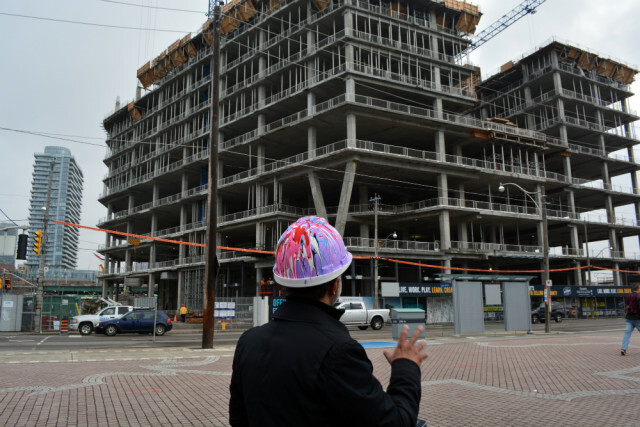 Before the announcement, we had the opportunity to tour the construction site. 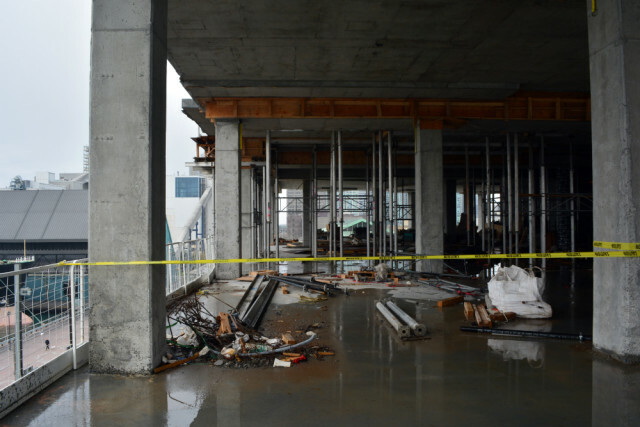 We visited the fourth floor where Artscape Daniels Launchpad will be located. 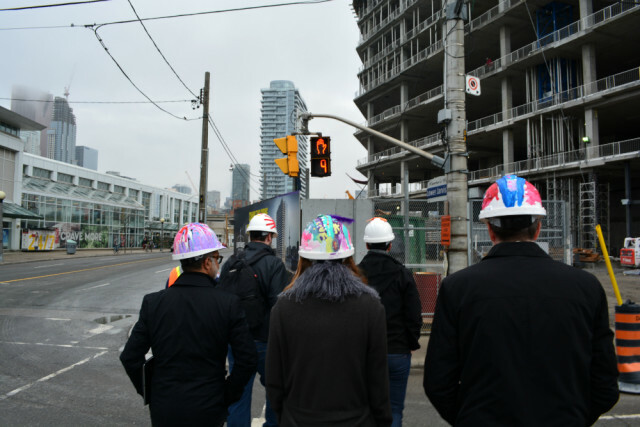 Karim Rahemtulla, Managing Director of Artscape Daniels Launchpad led the tour, highlighting where certain facilities will be located. 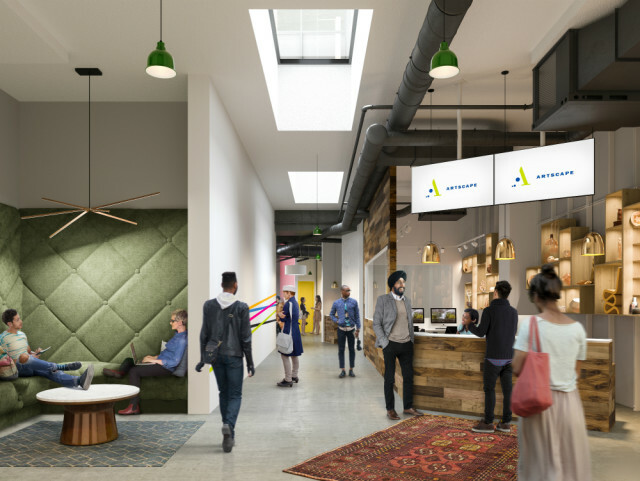 Artscape Daniels Launchpad will officially open in September 2018! Before the opening, there are a few more milestones to hit. 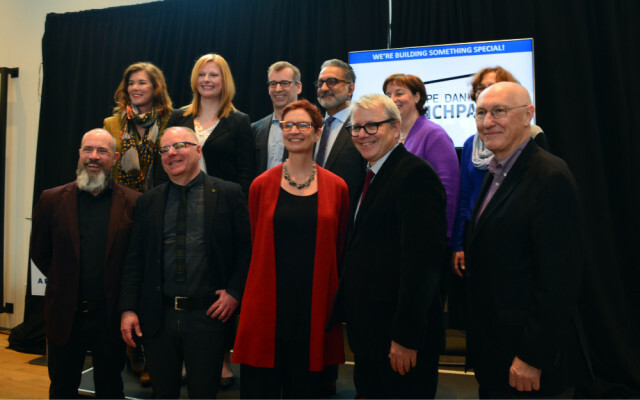 In October of this year, there will be another major academic and corporate partnership announcement. 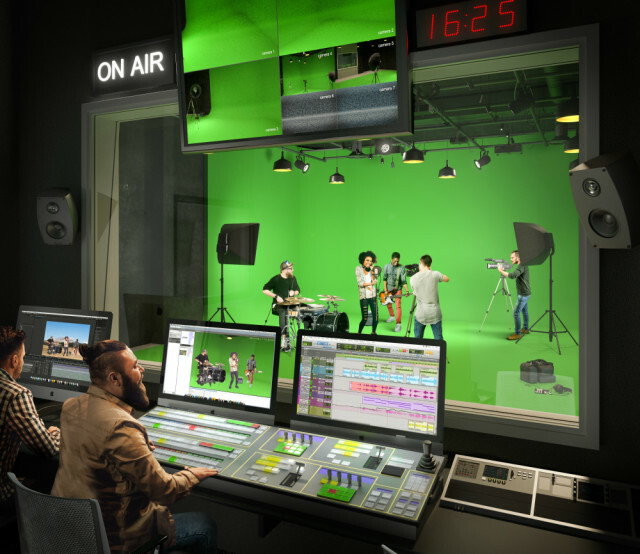 In January 2018, the membership program at Launchpad will kick off, followed by more details about the studios and equipment that will be available to artists. 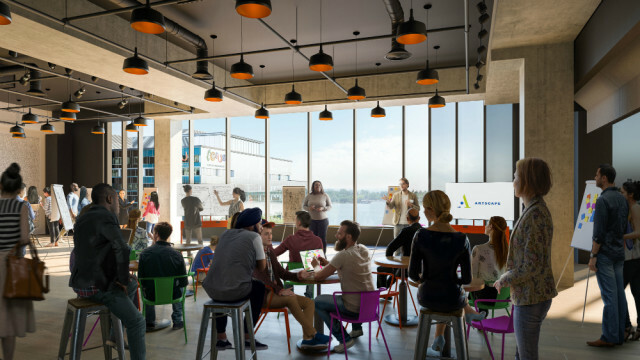 In the summer of 2018, we’ll be able to get in for a sneak peek before Launchpad opens in the fall. 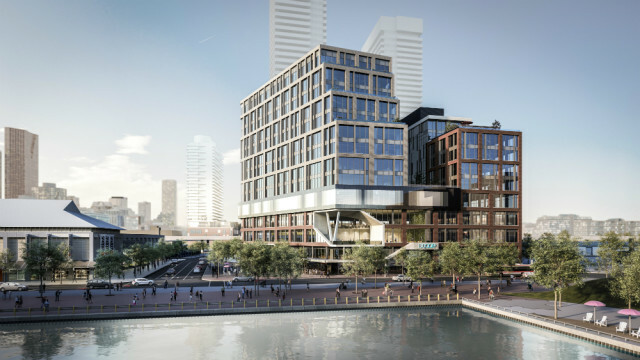 We can’t wait to watch Artscape Daniels Launchpad, as well as the entire City of the Arts community grow over the next couple years!